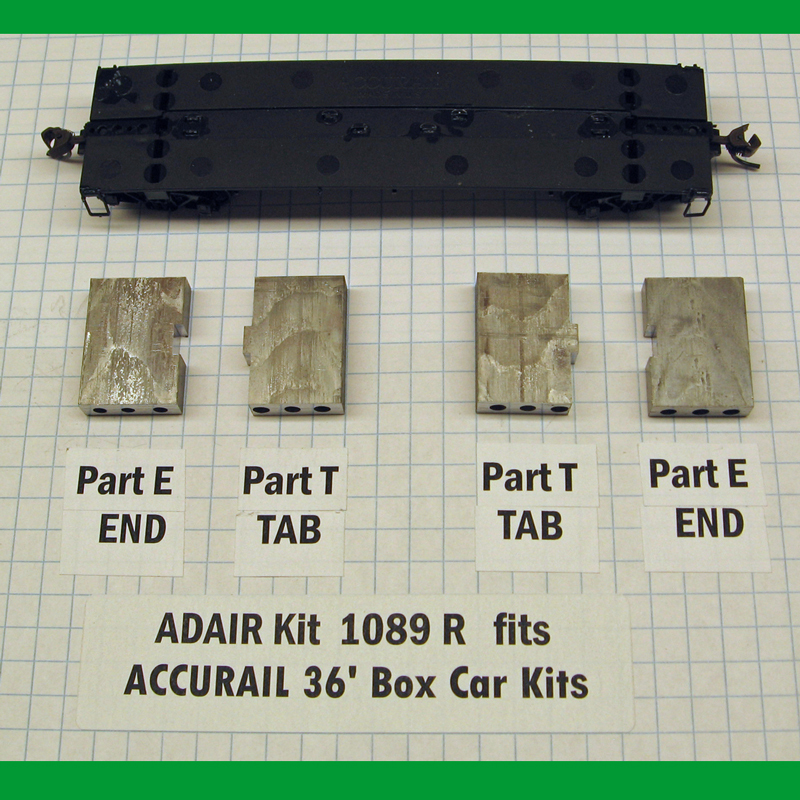 Weight upgrade kit 1089 is now available for the Accurail 36’ Double Sheath Boxcars / 36’ Fowler Wood Boxcars. CLICK HERE for more details. Check out our latest blog posting about the Black Mesa & Lake Powell Railroad. While going through some old family vacation photos, we stumbled across a few of the BM&LP taken in remote northern Arizona back in 1981. We hope you enjoy them! The following HO weight upgrade kits are no longer in production due to material availability. 07/09/16 - Roundhouse Rescue has been released! The Roundhouse Rescue kit is now available. CLICK HERE for more details. We have also updated our blog. Check out the latest post about cutting helpers off on the fly. Yes, it really happened, and our son witnessed it in person. We are putting the finishing touches on a weight upgrade kit for the Exact Rail HO Wood Chip Hopper. Kit should be available soon. 06/13/16 - Looks like we need a Roundhouse Rescue! Look what we found in one of our Roundhouse boxcar kits. A beautifully painted and lettered body, along with the cast metal underframe in 4 pieces. Not wanting to let a good kit go to waste, we came up a Roundhouse Rescue kit. After a little bit of work, this 50’ boxcar hit rails ready for... in this case MOW service. Interested in how we did it? Stay tuned. The Roundhouse Rescue kit will be available soon! The following NEW HO weight upgrade kits are now available. Spring is finally making its presence known here in Iowa. It is safe to say that everyone here is ready for warmer temperatures. During the winter months, we have been staying warm inside the shop working on new kits, among other things. Here’s a few highlights of things to come. 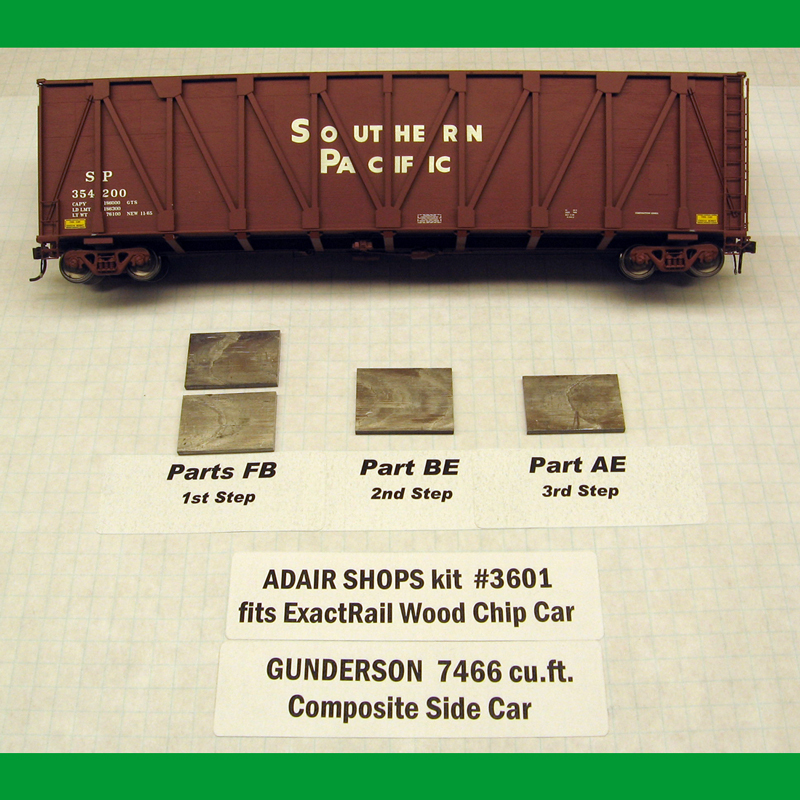 Weight upgrade kit for Scaletrains HO Evans Double Door RBL boxcar. Undergoing final testing. Should be released soon! Weight upgrade kit for Walthers Trainline log car. Started work on the new ecommerce site. Migrating railroad photos to our new photo site. 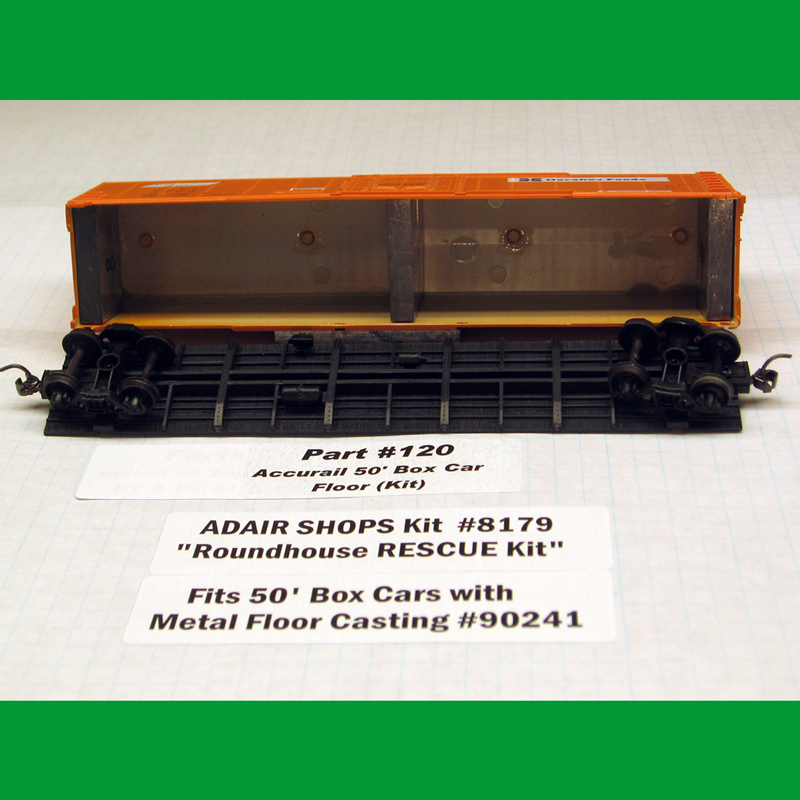 Weight upgrade kits have been added to website for the Accurail PS 4750 Covered Hopper kits. Both regular and heavy kits are available. CLICK HERE to see the available kits. Now available... HO pipe load kits for flat cars and gondolas. Kits include cut and primered pipe sections, cradles, and complete instructions with photos. Take advantage of special pricing through December 31, 2014! 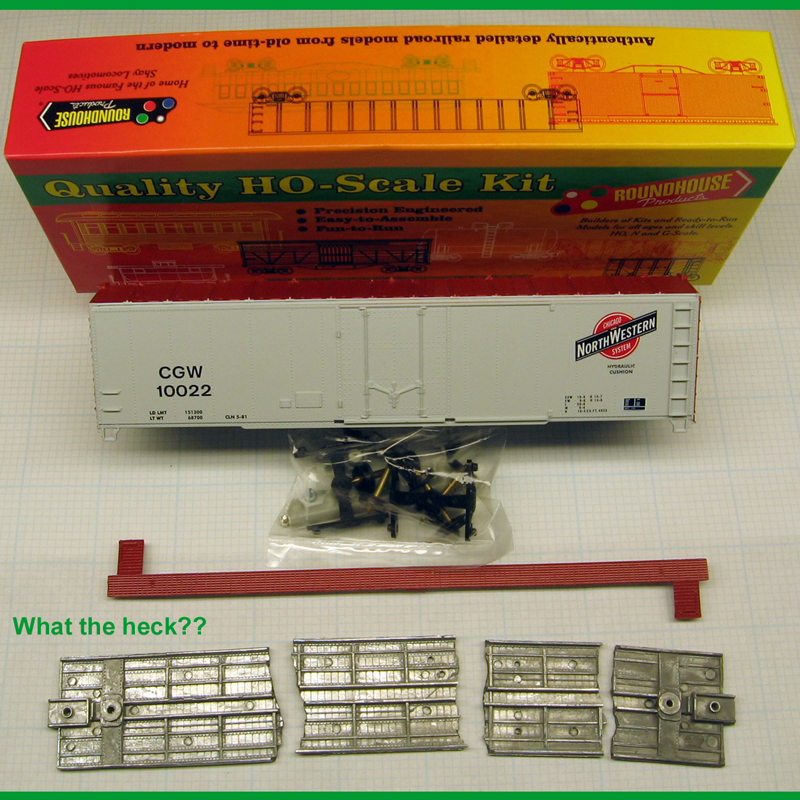 CLICK HERE to see the full line of HO pipe load kits.